Mom On Duty - Purchasing your own home? Have you been dreaming of purchasing your very own home? Ever since Arjay and I got married in 2011, we have moved from one rental property to another every time he was reassigned to another town. It was okay for the first three years because the minis were still very young and it didn’t bother them that we moved often. However, now that the minis are school-age (The Princess is going to school already! ), we’ve decided that we need a more permanent home that is near The Princess’ school and our prospective preschool for our Little Man. After months of searching for the best location for us, we agreed that Antipolo City fits our needs well. We found an exclusive subdivision right along Sumulong Highway, which is perfect because it’s just a 3-minute drive to The Princess’ school and not too far from our prospective preschool for the Little Man. It also has Robinson’s Place Antipolo nearby as well as a public market (that I love, by the way, because it’s super clean you wouldn’t even think it’s a public market). Plus, what’s super nice about it is that it’s surrounded by lush greens. We went ahead to Plan B and decided to buy a more affordable property that we can live in for the meantime while we saved up for our dream house in Antipolo. That’s when we found a rent-to-own condo unit in a very convenient location as well. Read: A mall, public market, and my office building right beside it! WINNER! Soon after we paid the initial fee and signed the documents, the developer made minor renovations to the unit (walls were repainted, broken knobs and built-in cabinets were fixed, etc.). We were able to move in after a month—on September 28th. Hooray! If you’re looking to invest on a more affordable real estate property, you can go for houses/units that are ready for occupancy or purchase a “built-to-order” home. While there are some good Profriends reviews, this developer has been put in hot water recently due to a number of Profriends complaints (some filed by legit buyers while others coming from anonymous sources), so it’s always best to talk to them yourself and see if what you read online is true or not. It’s not wise to believe what people has to say right away so go and talk to the developer. Should you encounter issues after making your payment, the best course of action is to file a report to them. When we saw that the rent-to-own condo unit wasn’t in good shape, we asked the developer of our condo to put everything back in order before turn over. And they did! Before finalizing your purchase, make sure you’ve made thorough research. Real estate is very complicated so make sure you understand what you’re getting yourself into. When we bought our lot in Antipolo, we overlooked the fact that to able to build our house, we need to have a huge amount of funds before we can actually borrow from PAGIBIG. If we knew that then, we could have prepared more. Review your financial standing. This is important because purchasing your own home is a big expense. 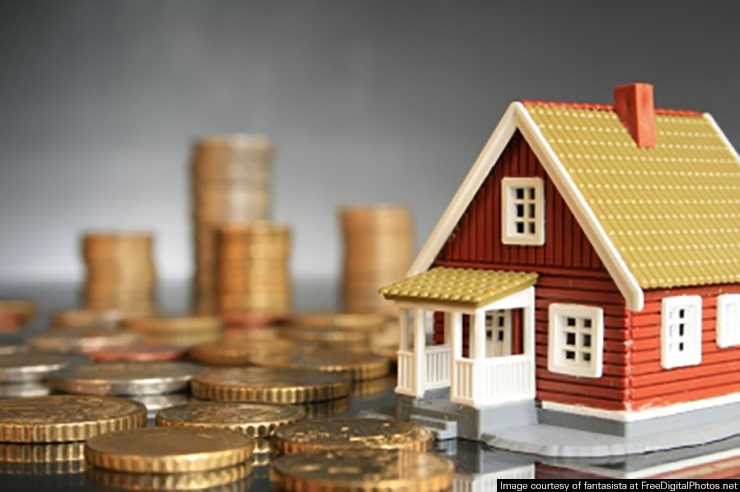 Make sure your financial situation can cover the expense of buying (and maintaining) the home. What was your home buying experience like? Share your thoughts in the comments section below! Hi, you understood it correctly. When we started with our house construction, Pag-ibig required us to have 25% of the construction completed prior to scheduling an inspection for the 1st partial release of funds. Thanks for dropping by, Louie! That’s another thing, funds will be released per phase. So we really have to have money on hand already before we get what we borrowed from PAGIBIG.